In this article, we explore fall and winter uses of light therapy, focusing especially on light therapy for SAD (seasonal affective disorder). With fall and winter just around the corner, it’s time to start talking about season affective disorder, or seasonal depression, a condition that affects millions of people every year. If you think this condition could be affecting you, it’s time to start prepping for fall and winter now! Let’s get down to it. Seasonal affective disorder (SAD), or seasonal depression, is a mood disorder and mild form of depression. Unlike major depression, SAD is temporary. It occurs at the same time each year, usually in the fall and winter months. Some people experience SAD in the opposite months, leaving them to struggle with depression in the spring and summer and not finding happiness again until fall and winter. This form of the depression is much less common. SAD is extremely common with more than 3 million US cases each year. It is usually treatable and not a long term condition. The disorder typically resolves within months. Why Does Seasonal Affective Disorder Occur? We do not know exactly why SAD occurs and what causes it. However, many studies have been done in an attempt to figure it out. Our biological clock (our Circadian Rhythm), is one factor. Because of the increased amount of darkness, and decreased amount of sunlight in the fall and winter months, our body’s internal clock is off. This can lead to feelings of depression. Another factor is our serotonin levels. Serotonin is a neurotransmitter chemical in our brains that affects our moods. When the amount of sunlight that we are exposed to is reduced, our serotonin levels drop, prompting depression. The third reason is our melatonin levels. Melatonin is a hormone found in our brains that anticipates the daily onset of darkness. When our light levels are off, for examples, when it gets dark at 4 p.m. due to daylight savings time, our brain gets confused and releases melatonin. This tricks our brain and body and messes up our brain waves as well as our energy levels. Light therapy is a form of therapy that uses different forms of light to treat a wide array of conditions. Doctors of all sciences have been using light therapy on their patients for years now. Thanks to the convenience of new light therapy products, it is now easy to use light therapy products at home. Light therapy has been helping to cure SAD on ground breaking levels and there is no sign of it stopping. Most people suffering from SAD don’t do anything to fix the issue. Instead of looking for an answer, they assume it’s normal. They sleep in a little longer, drink more coffee, and wait for spring to poke it’s head out. Some people don’t even know they are struggling with something that is actually medically recognizable. To them, it’s just the winter blues. But by ignoring the fact that they’re suffering, they’re missing out on some months that could be wonderful. With today’s modern technology, there’s no need to avoid the topic anymore. There is actually a cure for SAD. People suffering from SAD have a number of options for treatment when it comes to using light therapy for SAD. One option is a light box which provides a measured amount of light through fluorescent bulbs or panels. The light intensity is typically between 2,500 to 10,000 lux. The amount of light is different depending on what you deem necessary for your treatment. Typically the amount of light would be equal to that of the amount of sunlight you are exposed to on a nice spring day. The light box helps regulate the internal clock in your mind, keeping your brain on track and your energy level high. The light box is typically small to medium sized, easy to carry, and fairly portable, depending on the seriousness of the depression. People undergoing the treatment set aside around 30 minutes a day, sometimes twice a day, and sit 12 to 24 inches away from the light box. You would then carry on with whatever you choose. Reading, knitting, writing, eating, talking on the phone, etc. Be careful not to look directly into the light. For people who have trouble waking up in the morning, have not seen results with light therapy boxes, or want to combine two methods, dawn/dusk simulators are recommended. The devices have proven effective for people with mild symptoms up to severe symptoms. The dawn/dusk simulator helps mimic the ideal lighting and darkness occurring outdoors. For example, if you have trouble waking up in the morning, the simulator can be set to slowly turn on at 8 a.m., or whatever time you choose. 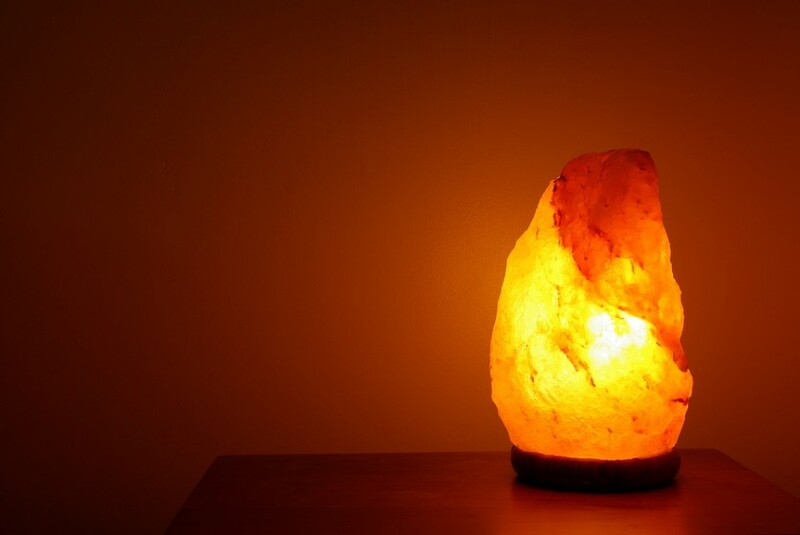 A bright light will appear in your bedroom, typically on a bedside table. The simulator leaves you feeling refreshed and ready for the day. Another case would be helping keep your biological clock on time by mimicking light throughout your day and then shutting down at the accurate outdoors time. For people who live in places that stay dark for a significant amount of the time each year, like Alaska in the winter, this simulator is perfect. It will mimic sunlight in your house all day, reminding you that it is day time. Once the time of sunset rolls around, the device will slowly shut off. Seasonal affective disorder is not rare. It is not a joke, and it could be happening to you. It’s time we stop suffering winter blues and waiting for the fall/winter seasons to end. It’s time to start adding light therapy into our lives and enjoying fall and winter!